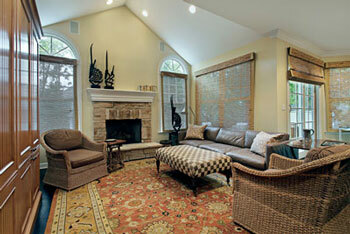 Barrington Oriental Rug Pros are the industry experts in the professional cleaning and care of your area rugs. Whether you own an Oriental, Persian, Antique, or specialty rug, we are committed to excellence in maintaining your rug quality—both its color and elegance—while also providing outstanding customer service. Our Rug Pros take great pride in hand washing and carefully treating your rugs with the end goal of presenting them back to you in pristine condition. ​We're not only known for being the best rug-cleaning professionals in the Barrington area, but we've also been praised for our expert rug restoration and rug repair services. Barrington Oriental Rug Pros are dedicated to providing outstanding customer service in North and South Barrington, Barrington Hills, Algonquin, and all of the surrounding communities. To get started, one of our rug experts will complete a home or office visit to provide you with a professional evaluation and a no-obligation estimate for the care of your area rugs. If you are satisfied with the service and our pricing, then our team will transport your area rugs to our facilities for cleaning with the guarantee that they will be returned back to you within the next 7-10 days. The Rug Pros always offer complimentary white-glove pickup and delivery. Oriental rugs have always been known as a sign of luxury and sophistication, and with such strong meaning and purpose in today’s homes these rugs must be cared for with the highest level of quality and respect. These exquisite rugs require regular maintenance in order to maintain their style and aesthetic, and it’s necessary and highly recommended that you allow our professionals to help you preserve these prized possessions. There are many different types of “Oriental” rugs on the market, and each one is handcrafted with its own unique fabrics, dyes, designs, and techniques. In combination with their differing appearances, they all also have a variety of purposes and uses. At Barrington Oriental Rug Pros, we understand that each rug is unique in its own way, which is why we’ve developed custom processes for each rug we service. While every Oriental rug is a marvel in its own right, there are some rugs that require more care than others. The highest quality rugs, such as a fine, hand-knotted wool rug, are best known for how they are made—by taking the time to tie each individual knot one-by-one. The Rug Pros are experienced at working with these rugs, as well as other handmade rugs that are commonly found in luxury homes. Rugs such as flat weave rugs are not only stunning to admire, but they are also beneficial for those who suffer from allergies thanks to their thin size and woven design. We also have experience handling Persian, Chinese and Indian style rugs, in addition to the less common tribal and Flocatti designs—a rare and extraordinary sight to behold. 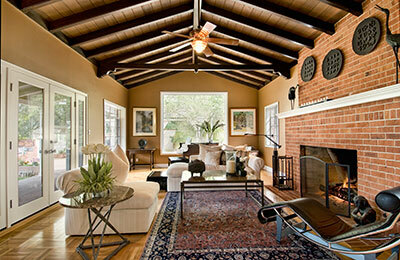 In comparison to our experience with handmade rugs, we also specialize in the cleaning and care of machine-made rugs. While machine-made rugs may seem easier to produce, these rugs still require extensive maintenance to sustain their beauty. There are three main types of fine rugs that are machine-made: cross-woven Wilton, Axminster and Wilton. Each of these is expertly woven together using a blend of cotton, polypropylene, olefin, nylon and wool, and they each are offered in various colors, styles, and sizes. Of course, additional machine-made rugs are always welcome in our white-glove workshop. From Karastans, Kilims, and Wool Belgians, to imported tufted style rugs, our Rug Pros will provide the same love and care for each of these exotic possessions. Regardless of color, shape, size, or style, you can rest assured knowing that our well-trained staff will handle each individual rug with custom care, striving to achieve the best results of any professional cleaning service you will encounter. While delicate and irreplaceable, it is essential that each fine rug receive proper cleaning and maintenance on a frequent basis. Valued for their inimitable aesthetics, our professionals strongly suggest that you avoid placing these treasures within heavy traffic areas of your home. First, our team carefully inspects each rug, taking note of its material and construction. Many of these luxury rugs are made from a blend of fine wool, natural cotton and synthetic fibers—and each require different methods of cleaning. At this stage in our process, our Rug Pros determine a customized, step-by-step approach for optimal cleaning. Removal of Soil: After a detailed inspection, our team will begin preliminary cleaning, which involves hanging up the rug and gently knocking each side to remove the soil. By applying gentle vibrations to the rug, our specialists are able to remove all the dust and allow for an improved cleaning process moving forward. Pre-Cleaning Treatment: Throughout pre-cleaning, our professionals ensure that each rug’s exquisite colors are first examined before applying cleaning solution to various stains. 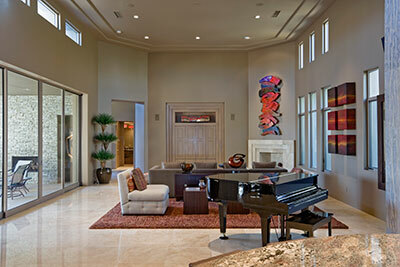 We guarantee that the area rugs we clean will keep all of their beautiful coloring, with no color bleeding. Pre-Cleaning Spray: Our team’s next step is to evenly apply a select cleaning agent across the entire surface of the rug. Barrington Oriental Rug Pros prides itself in using biodegradable, water-based cleaning solutions to ensure that no rug is ever exposed to harsh, chemical-based cleaners. Shampoo: Following the pre-cleaning stages, we move onto shampooing. Our experts use rotary shampoo machines, personally controlling the machinery throughout the entire duration of the process. For us, it’s essential that every step of cleaning be done slowing and methodically, guaranteeing that the utmost care is given to your prized rug. Rinsing: After shampooing the rug, our team will rise it down using a cold-water machine, ensuring that all shampoo has been removed. De-Humidifying and Drying: Last but certainly not least, we come to the last step in our process that involves drying and dehumidifying your Oriental rug. 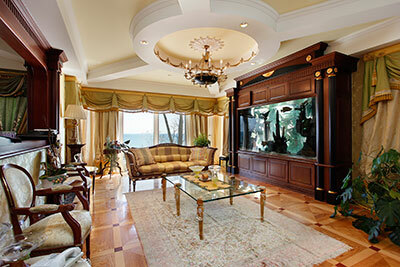 Depending on the state of the rug’s materials, this process can be extensive. Before removing each rug from our drying room, we always perform one additional check with our specialized meters to detect any remaining moisture. Prior to the return delivery of your rug, our Rug Pros complete one final check, confirming that any and all stains have been removed, as well as performing a final vacuuming and grooming. Upon the receipt of your rug, we hope that you find your Oriental rug to be in prime condition. ​Proper Cleaning of the Rug: Even with the best personal, in-home care, there is still a chance that your rug has collected soil, which is absorbed deep into its fibers. Luckily, our team can easily remedy this problem with our expert tools and techniques—lending a hand so you don’t have to struggle with this task on your own. Prevents Color Bleeding: Depending on what kind of cleaning agents you typically use in your home, it’s possible for certain solutions to cause color bleeding. To avoid this disaster, our professionals will employ patch testing before we proceed with our cleaning. Mild Cleaning Agents are Utilized: At Barrington Oriental Rug Pros, we pride ourselves in using mild cleaning agents to keep your rugs safe and avoid any potential unnecessary damages. Made from the most delicate and sometimes centuries-old material, our team makes it a habit to avoid brushes and steam cleaners. Instead, we prefer to use hand-washing methods that provide a deep clean throughout all fibers of the rug. Lesser Amount of Buckling or Shrinkage: Buckling and shrinkage can occur when your rugs are not properly cleaned, but our Rug Pros promise that with our custom service, we’ll ensure that never becomes an issue. Using spinners and dryers, we can decrease the effects of persistent dampness to your rugs. Our knowledge, experience, and unrivaled customer service are just a few of the many reasons why there is no alternative to the Barrington Oriental Rug Pro team when it comes to choosing the best professionals to care for your rug. 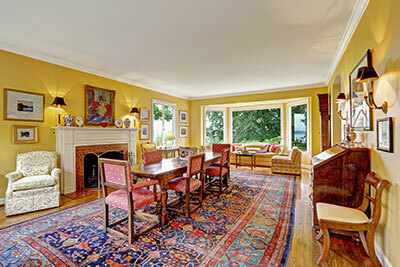 Every precious antique has its own story—and antique rugs are no different. 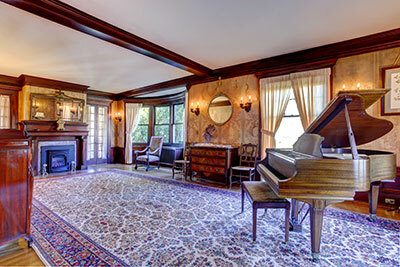 With restoration and preservation, antique rugs can continue to add a timeless look of elegance and class to your home. These rugs are a lifelong investment, and with that in mind we strongly suggest that you clean them regularly. Our team of professionals is determined to maintain their rare and unique shape by only using mild detergents to avoid aggravating their older fabrics. Our specialized cleaning equipment also allows us to gently and thoroughly clean rugs of every style and material, and we focus on using solutions that uphold the rug’s original colors and prevent fade or bleeding out. Keeping in mind the fragility and delicacy of antique rugs, our trained Rug Pros adjust their techniques and methods accordingly to accommodate each rug. Softer, more delicate materials such as wool or silk always require a hand wash with gentle movements. Before completely our cleaning process, we make sure to apply a safe deodorizer that allows your rug to maintain a fresh scent long after they are returned. Throughout the drying process for antique rugs, it’s essential that we eliminate all remaining moisture present within the rug to prevent the growth of mold or mildew. To do so, we turn to our carding method, which enables us to dry delicate antique rugs quickly and efficiently so that we can return them to you in pristine form. This method is also beneficial because it can improve the appearance of antique rugs, allowing them to look newer than ever before. Lengthy Dust Removal Process: When water and soil are mixed together, they create a muddy substance that makes it very difficult to remove, especially for a rug that is unable to undergo high-intensity cleaning. Our solution to this problem starts by hanging your rug on special wires while our trained professionals gently remove the dust. This procedure facilitates surface-level cleaning, which allows for a deeper clean later in the process. Careful Spot Removal: Next, our team begins what is referred to as “wet cleaning,” which helps to identify any spots or stains on your rug. After finding a spot, our Rug Pros handpick the proper detergent based on the strength of the stain and the condition of your rug. We understand that the key to successful cleaning is to avoid the action of harshly rubbing the cleaner, and instead spray the cleaner and allow it to work its magic. This trick allows our staff to soften the stain and makes for easy removal with just a gentle rub. Following our cleanings, customers will see a dramatic difference between the before-and-after for their rug. With experience and proven results, we’re able to deliver a restored rug after just one wash. Silk rug cleaning should be administered immediately upon recognition of a stain in order to prevent permanent marks to the surface. We recommend that upon purchasing a silk rug, you ensure that the rug also includes a blend of wool that will add to its overall comfort and repel potential stains. Blends of silk-wool rugs allow for improved cleaning; however, if you do own a pure silk rug, our team has created additional methods of care to maintain its original condition. 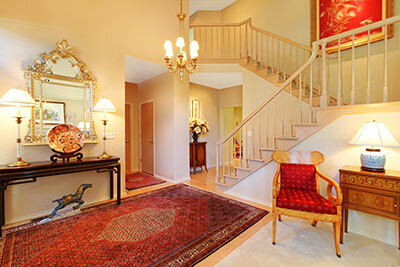 Our team also suggests that you should avoid placing silk rugs in any high traffic areas of your home. This will decrease your chances of outside soil or high stress imprints leaving permanent impressions on your rug. Instead, we suggest placing your silk rug in a low traffic area of your home, where you still have the ability to display its elegance. 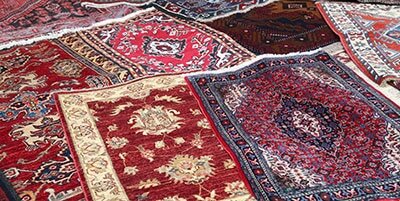 Finally, silk rugs should never be cleaned using hot water or strong solutions—both can easily cause permanent damage. Additionally, hot water will cause your silk rug to lose its vibrant color, leading to a rug that looks old and worn out. Caring for a silk rug is a science that allows for few mistakes, but our Rug Pros have the ability, skill, and dedication to restore your rug to its original, dazzling appearance. We’ve found that the best way to maintain a wool rug is to have it vacuumed regularly. Our experts believe that in order to lengthen the life of the rug, it should be vacuumed at least twice a month. Wool rugs are known for retaining soil, so a good cleaning also starts with a thorough dusting. After all the soil has been removed, our trained specialists will apply a mild shampoo by way of a delicate scrub while also cleaning the inner linings of the rug. The most difficult aspect of cleaning a wool rug begins at the drying phase. While many rugs can be hung or left out to dry on their own, wool rugs must be dried immediately through an extensive drying method suited for their specific fibers. Luckily, when our experts are handling the drying process, you can always expect a much higher degree of sophistication.